This is a rather bittersweet time of year for me personally. Because even though it is leading up to Easter and is such a beautiful and intentional season of reflection, it also brings up a lot of pain for me. Because you see, Lent of sophomore year in high school, was when my anorexia first began. Innocent enough. No desserts or sweets for 40 days. I was being a good little Catholic girl — “challenging” myself during this season of lenten fasting and penance. But what started as that small denial, quickly spiraled into a lifestyle of extreme restriction, and the next thing I know, I had wasted away to 78 pounds, knocking on death’s door as a shell of my former existence – physically, mentally, socially, emotionally, and spiritually. So yeah, I look forward to Lent just about as much as I do a root canal. Lent is bigger than me. Lent is bigger and more important than Little Ol’ Me going boo-hoo, it makes me feel bad about my past. You know what? Everybody has things that remind them of pain. Maybe it’s not an eating disorder, but everybody’s got something. Maybe a broken relationship, or the loss of a loved one or friend, a rejection by a peer, missing out on an opportunity, getting cut from the team, betrayal, bullying. Whatever it is, everybody has reminders of pain or trials in their life. And if there’s ever a time to “look beyond myself,” it’s Lent, for cryin’ out loud. This is a time when we reflect on the fact that Jesus made the decision to die on the Cross for us. For you. For me. For my sins. For my eating disorder. So yes, maybe it’s a little sobering to think about my eating disorder every time Lent rolls around. But perhaps, instead of viewing it from a self-pity/victim stand point, what if I’m supposed to be reminded of that darkness, so that I can fully appreciate what my freedom truly cost? What if I’m supposed to remember, so that I can rejoice in His saving power in my life? Rejoice in the fact that I’m not trapped in that hell hole of anorexia anymore? Rejoice that I was rescued? Maybe, just maybe, that timing is not by accident. You can bet your bottom dollar that I won’t be giving up sweets any time soon. And in fact, I won’t be doing any dietary fasting, period. It is detrimental to my recovery to fast, even for one day, even for religious reasons. I have vowed never to abuse my body and withhold nutrients from it ever again. I made that promise to Jesus and myself. And tbh, I think it gives Jesus more joy for me to eat and nourish myself for His glory, than to fast and flirt with the behaviors that nearly took my life nearly ten years ago today. I will instead fast from negative self talk. From thoughts and lies that erode my self worth. From comparing myself to others and setting the unattainable standard of perfection for my life/body/possessions. I will instead fill myself with His love for me. “Feast” on His words of truth and love. “Feast” on the joy that comes from His forgiveness and from His saving and healing hand in my life. It is no longer a reminder of the destruction that nearly took my life, but a reminder of my rescuing by a Savior who gave me new life. “I will instead fast from negative self talk. From thoughts and lies that erode my self worth. From comparing myself to others and setting the unattainable standard of perfection for my life/body/possessions. I will instead fill myself with His love for me. “Feast” on His words of truth and love. “Feast” on the joy that comes from His forgiveness and from His saving and healing hand in my life. And BTW – I just saw that I originally responded, calling you JD! haha my bad! 🙂 I was doing 12 things at once when your comment came in lol But I cannot reiterate enough how your friendship and support has bolstered in me the courage to continue blogging and sharing my faith. you rock Tony! thank you! Lent is a tradition; a good one if done for the right reasons. Yet if it doesn’t honor Him, then it lacks all meaning and purpose. Our purpose should be in Him, not in feasts or fasts. So God bless you as you celebrate Him and what He has done for us all. Hi friend! Oh you’re so right: honoring and celebrating our Savior is 100% the purpose and focus of lent. Thanks for this reflection. Hugs! What a powerful and profound post. Accepting, learning and growing from your past. You are an inspiration. Thank you for a thoughtful and inspirational message about rescue….for you and for all of us! Oh thank you Rick! I really appreciate your kind response! Yes, we are ALL the reason why He embraced the cross–for His profound love for us. Thanks for reading my friend! This really helped me tonight. I needed something like this. Thank you. Hi friend! Oh I’m so glad this resonated with you this evening. Thanks for reading! Hugs! Oh thank you for your encouraging words! I appreciate the feedback. Thanks for reading and have a great night! Amen! What an amazing revelation; thank you for sharing! God is good! Thank KJ! God is so good! To Him be the glory:) thanks for taking the time to read! I don’t have much to say except for this. Stay strong and hope faith and love. Just strength in Christ greatly encouraged me on a daily basis. When your book is released to the public, may I please be the one to do the audiobook for you? I play lots of love and blessings towards you. Look up nc that your savior is forever happy because you are fearfully and wonderfully made. In fact I want to get love with you one time or maybe more then just one time. You write so good that your story is should be an emery paper across the country. And this is coming from a kid who is Canadian but does not live in an igloo. Well in the beloved words from the film The Lion King there ain’t no worries for the rest of your days. # Hakuna Matata # classic Disney. Mr. What a way to make me feel important. Would you like to guest post for me some time on a particular topic? The reason I ask this is because your writing is phenomenal and should be showcased to any and all people that will listen. Yeah I do what I can to help out fellow writers like myself. As for Christian music do like the band Rend Collective? I could send you a list of bands you could look up on YouTube, if you wish. I don’t listen to any other music then Christian music because the old self is dead and buried and I now have a new life in Christ. That’d be awesome if you could send me one or two favorites! ❤️ thanks! Sure I can do that. When you get an opportunity look up the band southern raised they are a brother and sister band and genre of music is mostly gospel bluegrass. Some similar bands to that R the Canadian band rescue junction. Oh cool. Thanks I’ll check them out! Yeah not too bad for someone that used to listen to punk rock music. What change of pace from listen to bands like Green Day rancid and of course Billy Talent to going to listen to other music out there like Christian music from Chris Tomlin Jeremy Camp Kari Jobe and others. When I got saved and received the baptism of the Holy Ghost God totally took my case for punk rock music out of my mouth and he replaced it with music that is edifying to God. There really is some great Christian music out there! God is good! FYI it’s been said that if a child of God sings gospel music out loud, the angels in heaven will quiet down enough so that the Lord me hear you sing. It kind of makes sense because the scripture does say about the Lord and happening the praises of his people. Actually I might make a post on this very topic tomorrow. Hey BBB. I want to take this opportunity to say thank you for your Christ like goodness. I become greatly encouraged by simply reading your about your stories and experiences. I had this post put on my heart to give you and of course show you the love that Christ would show his children. The words you share in this blog show your readers a compassionate Christ. Our people need much love, it doesn’t matter what colour they may be. God commands all men everywhere to repent and welcome Christ in our hearts, minds and souls. When I read the words you speak I see that you chase the very heart of God and that is simplicity beautiful. Your words are certainly edifying our Lord. I am certain that with the words you speak put a smile on the Lord’s face himself. It does for me. So let your light so shine before men. When battling with thoughts of fear, think on the six things the Lord requests us to think upon listed in the book of Philippians. Anorexia does not define you because faith hope and love remain but the greatest of these is love you have a solid foundation upon the rock that is Christ Jesus. I told you have then made absolutely new. When dad comes to your mind, repeat the versions listed in 2nd Corinthians chapter 5 verse 10 and also Luke chapter 10 verse 19. Much like how Christ loves you so do I.
Wow, wow wow wow. Thank you from the bottom of my heart for this outpouring of support and encouragement and friendship and care. You have warmed my heart tonight friend. I am so grateful that our paths have crossed. Hugs and love to you, friend. You’re my sister in Christ. I am grateful for that as well. Do you know how hard it is to find Christian friends out there? You’re a blessing to me. How old were you when you invited Christ into your life? You have me beat by several years. I only fully came to Christ recently within last 2 years. I thought I was saved, it was until I was in college and had near death experience and realized that my life was truly going to be over did I realize the need to call out to God. If you want to read more of my book I encourage you to do so. Who sings I’ve just told you don’t go into detail but as the writings in my book increase so will your knowledge about my life. You once said to me that you don’t want to release your name to the public or the stories set that are set that are all about you. I understand that, I appreciate that. Sometimes though I feel as though I’m reading the book just for one person. You, the reason I say this is because your constant attention you give to my blog. Thanks. I would definitely love to read your book! I will be posting chapter 9 tomorrow. Also chapter 10. I’m going to dedicate chapter 10 to you. You just keep on smiling there boss lady. I’ll pray everyday for you until you know you are loved by God and He grant you a spirit of endless joy. My prayers for you will not go unanswered. The impact you have had on my life as a writer has been a profound one. You are truly one of the best writers I’ve ever known. Danielle steel has nothing on you. Keep walking in the face and strength of the Lord. Remind yourself of the verse spoken about in the Philippines chapter 4 verse 13. remind yourself that it is a child of God can do all things through Christ who gives you strength. I say this I believe this and that settles it and because I believe it. I see it and practices I know that speaking the Word of God give this power over all demonic forces. Even anorexia. Anorexia is a ploy of the devil himself it’s a disease created by Lucifer to destroy the human body we are clay and yet members of the body of Christ. I say this you with great love and compassion must resist the devil humble yourself before God and He the devil will flee from you. I want you to know that the devil was a murderer from the beginning Annie abode not in the truth for this reason the Son of Man was manifested so that he may destroy the works of the devil. Claim freedom because of the man in the middle freedom because of a resurrected Christ be joyful did he so willingly called you out of darkness into the light these words many are called, but few are chosen be happy and humble for the remaining of your days because you is a child of God were chosen to be his. stand on the promises of God and claim victory because of the cross. Wow what an outpouring of encouragement and support! Thank you. I can feel your passion in your words. Thank you for the prayers and for YOU continuing to encourage and push me forward. I am grateful for your friendship. Yes, I must claim the victory of t he cross. Well to be honest with you, I know it just like to go through trials especially with food. I know what it’s like to go through trials and fight your physical body everyday. I also know what it’s like to want to have the strength and courage to turn that around. 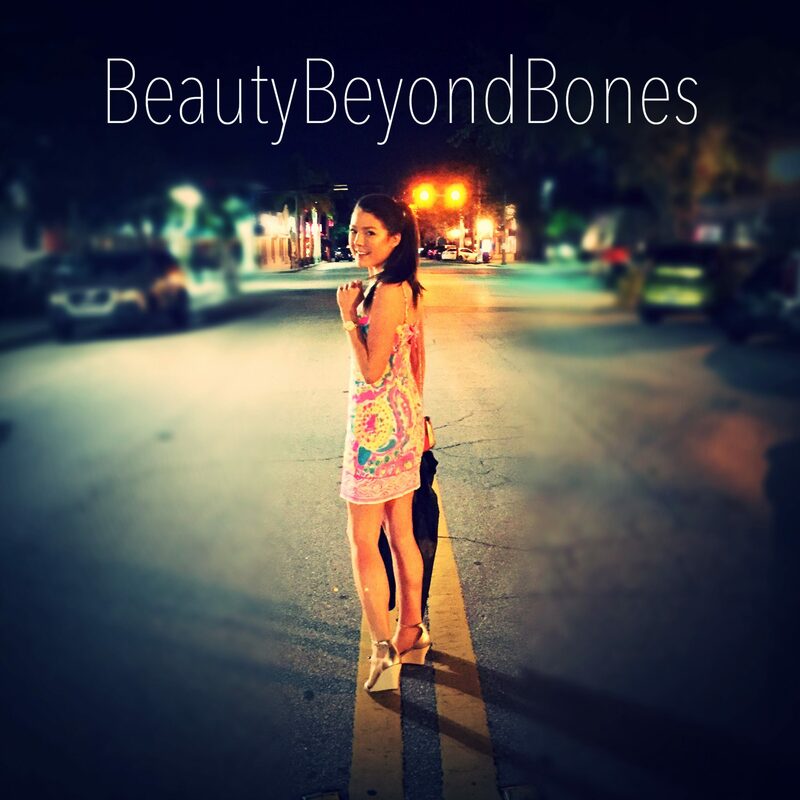 I know why you created the blog beauty before bones. You wanted to warn people of the dangers of anorexia as well as encourage others who are dealing or have dealt with the same issues that you have dealt with. I know because it’s the reason I started writing a book on the footprints of my funny feet. you have encouraged me greatly as I’m sure you have encouraged many others across the world. Your words are profound your experiences are real and vivid your strength is admirable. and your compassion for others your greatest sign of love. You just had to get that out of there didn’t you? Hahaha. What does my words or blog mean to you? I’m the one that should be grateful. You’re one of a kind. Anytime you need prayer I’m there, anytime you need someone to comb your hair I won’t be however I may come in the mail. I have a question for you do you like music more specifically do you like Christian music? In addition please know that because there isn’t much options out there in terms of Christian friends, you may be one of my best friends. Hahah you’re funny. Honored to be counted as a friend! ☺️ yes, I enjoy both top 40s and Christian music. Well I think that I’m going to do a blog tomorrow on the power of an acoustic guitar. In reference to rock music and Christian music. There is a difference now I’m going to examine what difference there is. I myself have been wanting to write a post about the topic of music. No Everyone has an opinion on it and everyone can get involved by sharing theirs. Yes yes I know I did go through a phase where I wrote poetry in college. I was like the Shawn hunter of my college. Anywhere I can say poetry I did. Some time ago you talked about accountability in your previous blog. Well what if it is the will of God for me to be in an interview to you as well as you being encouraged her to me. Is that a form of true accountability to you? I don’t mean to act rude or speak out of line but if you found the truth at 7 years old how old are you now? It is amazing how the Lord find exciting ways to remind us that He hears our cry. Your reflection is timely in my life (and I’m sure in the lives of others). We are all struggling through something right NOW, and we can remember plenty of times that He brought us through. Self-sacrifice = forcing yourself to eat for 40 days? Hi MM! No it’s not a self sacrifice, but the opposite–fasting from dietary sustenance– in my particular case(with the history of anorexia in my past the literally nearly killed me) — I do not feel is good or healthy for me. I love Jesus with all my heart and am eternally grateful for His sacrifice on the cross, and want to express that, but doing so by withholding food is not the way. For me. I hope that clears things up. Thank you for that question! Hugs! No, no, I understand! Sorry that wasn’t supposed to be accusatory haha. I just mean maybe that would be a good substitute: While many probably over-eat and fast because of it, your history of (and tendency towards?) under-eating might be met with forced eating! I also think you’re right that God is thankful that you’re avoiding this near occasion of sin, and appreciates that you’re still wanting to observe Lent. Aw thank you so much! I appreciate your encouraging words! Hugs! It is amazing how the Lord finds exciting ways to remind us that He hears our cry. This reflection is timely in my life (and I’m sure in the lives of others). We are all struggling through something right NOW, and we can remember plenty of times that He brought us through. Thanks again for the reblog. God bless you my friend! So good! Thanks again for your raw honesty — about spiritual stuff , physical stuff and all that happens in between. We need your voice! Thanks a million Joy! That really means a lot:) glad you stopped by! Happy Monday! Everything you write touches my heart ,,what is it about 10th grade,,,My daughter started with her depression her lack of of self worth and even though she is better she still fights everyday day to wash away those times,, days,,it’s hard with my son being a sophomore this year and having a great year…and her seeing this but she wouldn’t want him to be unhappy. I am so happy you have turned Lent into a positive thing now and you so amaze me , stay strong my dear, and I look forward to more of your posts. Thank you so much, my friend. Ahh, 10th grade. Yes, there’s something in the “water” for sure. But have hope. Your kids will make it through. It sounds like they’ve got a great mom 🙂 Just keep loving them like you are 🙂 hugs and love to you! thanks for the encouragement! Thank you so much !!! and you are a beautiful women in every way love your strength, your parents should be so proud. hugs and love to you too. Thank you! This speaks to my heart so much. In my discipleship class this week our assignment was to fast if even for one meal and spend that time in prayer. I have had so much stress and things going on that I haven’t even thought about it until now and your post given me pause. So very much to think about. Thank you May God Bless! What beauty and thank you for sharing. Lent is for me always a reminder of an eating disorder as well and I accepting that I cannot fast can be one of the hardest things for me. Yet I know it is exactly what I need. Thank you so much for this reflection. oh my friend, i feel you! You’re so right – not fasting is exactly what we need. And how comforting to know that God just loves us. He understands. And he wants us to thrive. Such a comfort. thanks for stopping by. sending you so much love and hugs! Ooh, that’s a good one. Yeah, I’d like to do that. My thing is going to be *awareness*. My situational & sometimes spatial awareness needs improvement. I’m going to be focusing more on “offering it up to God”, whatever “it” is in the scenario I face and be more “present” in the moment. deep in the soul. it is simply beautiful. though i do not share your life struggles/journey– I have my “something” just like everybody else. Yet I still relate to you through Faith. And you move me every single time! Rebecca, you go girl. I was raised in the Lutheran church – sigh. Talk about things to give up, let’s try Lent. Oh, and by the way, I sleep through root canals! Thank you so much! Haha oh my gosh! That’s intense about the root canals! Thank you for your encouragement. ☺️ and just a little thing- my name is not Rebecca! 😬 not that I mind, I just haven’t revealed my identity yet– one day I will work up the courage to, but for right now, I’m just BBB ❤️❤️❤️hugs and love to you friend! Bravo! Glad to hear giving up negative thoughts because negative thoughts do not come from God, they come from the accuser of the brethren. Thank you so much! You’re right–focus on whatever is good, lovely, true, hopeful…they are from God! Thanks for reading! Good for you. Feast in Him. Amen to that! Thanks for the encouragement. Hugs! You put your honest emotions on the line. I think that is wonderful. Many readers suffering eating disorders as well as other disorders leading to a reduction in self value will gain important insight from your words.They are truly healing words. Thank you JNC. That really means a lot. Hope you have a great night. Thanks again for the words of encouragement! Awesome. Beautiful. True. Thank you. Oh thank you so much Robert. I appreciate your affirming words. Means a lot. thanks for taking the time to read! Have a great evening! Than you for the post! It reminds me of a book I’m about to start reading…40 days of decrease. I think it might be along the lines of what you just wrote! Thank you so much Marisol! How interesting. I’ll definitely keep an eye out for that book! Thanks for stopping by! Hugs! Wow! This is powerful stuff! And spot on! Good for you, girl! Oh thank you so much Rach! Thank for this note of encouragement. ❤️ glad you stopped by! Hugs! Thank you so much! ❤️❤️❤️ so glad you stopped by! Have a wonderful night journey trails! I too, need to fast from negative self talk. Not just for Lent. But every day. Thanks T! Yes, me too. Every. Single. Day. Thanks for reading and taking the time to respond! Hugs to you friend! This is amazing 🙂 thank you for sharing it! Aw thank you so much! I’m glad you enjoyed it❤️ and thanks for the reblog! Have a wonderful evening! Hugs! Glad to hear you have concurred your past. I understand how eating disorders can affect your life and it isn’t fun. I praise God for the work He has done in you! I praise Him because you are here, alive, and sharing your life with others so they an be inspired! Good for you for choosing to see the blessings God has for you especially through this lenten season. May you experience a touch from the Lord as you fast and pray. Amazing things happen when God shows up! Thanks for sharing. Oh thank you so much! Yes, I pray that too. God is good and He does reveal himself and His truth. I so appreciate your words of encouragement and kindness. Thank you. Hugs and blessings! You are a very strong advocate for Christ. Like Mother Theresa your love for others and the savior are quite convincing evidence that you have been transformed as the Bible says by the renewing of your mind. Though I was raised a Protestant and just naturally would not agree with certain things Catholicism says, however I find your testimony compelling and your faith one that will surely clear any bounds I think that a particular tradition may whether I am right or wrong put before you. I hope you can take this as positively as I meant it. Sorry for the length. God bless you! Hi there! Oh thank you so much for this:) I completely understand what you’re saying! I personally believe that God is God, and He just longs for his children to love Him and love one another. I have friends and loved ones across all denominations. Our hearts are one for Jesus. Hugs and love to you! Thanks for your thoughtful reflection! Wonderful vision! May the Lord give you strength and joy in every day of your life! Thank you so much Andreea! I appreciate it. God is good! Thanks for reading and taking the time to respond! hugs! You go Girl! This is another wonderful blog post that reminds us how great is our God. Thank you for your inspiration and positive outlook. Many blessings. It speaks to God’s glory that you were able to overcome your anorexia through the power of Christ in you and that He is using you now to be an inspiration for others. I enjoyed your post and thank you for the like. Thanks for sharing this. I, too, had a Lenten fast that went awry (mine was 35 years ago) and so fasting from food is not a Lenten practice for me. This Lent, I want to bask in the loving gaze of God–just soak in God’s love of me–and then tell others how blessed i am, how blessed we all are, to have a God who cares enough to become one of us and share in our sufferings. Easter hope, that awareness that life can come from death, is how I redefine Lent. I am reminded of the words of St. Therese of Lisieux: “May today there be peace within. This is what Lent is about for me. May God’s presence continue to “settle in your bones”. Blessings on you Lenten journey. Hey Richard! Oh The Little Flower! I love her ☺️ my oh my what a powerful quote. Thank you so much for sharing it! Yes, May that presence settle into my, yours, and all of our bones! May we dwell in that Love and hope. Thanks my friend, for this wonderful reflection. Thank you for your beautiful witness. I am reading this to my students today (seniors). God bless you! And may our Mother keep you. Wow thank you so much! I am absolutely honored that you would read this in your classroom. Seriously. Thank you. God is good and these are all His words, not mine. I hope your students find hope in these words–maybe even someone who is struggling with something similar, may they find comfort in Jesus’s overwhelming love and mercy for us. That is my prayer today❤️ Blessings to you, friend. Hugs! BTW, I’d love to hear any feedback from your students! ☺️☺️☺️ thanks again & God bless! I had also passed it along to other teachers. One said that her first period class clapped after hearing it. None of my students gave me verbal feedback, but it was quite apparent that it struck a chord with them. (There has been a lot of pain at my school the past couple of years). It also prompted a conversation with a student concerning something she deals with and what might be a proper Lenten practice for her. I am so immensely grateful for that. Thank you, again, so much. God bless you! Hi Daisy! Oh thank you so much☺️ yes, fasting on negative thoughts and comparisons is so important. And I didn’t realize how much “garbage” I was thinking about until I became intentionally mindful of it! I have a feeling that replacing those things with love and light and positivity is going to be pretty profound. At least it has been in the couple days since I wrote the post! Yes, here’s to looking at things from a different perspective! Thanks for stopping by Daisy. Have a beautiful beautiful day! Hugs! You’re such a beautiful writer. Thank you for sharing it with the world. Amen ! Beautiful words of Truth! When I first read one of your posts about your struggle with eating, I felt like i was reading a foreign language. I only found your blog because, due to the mysterious nature of algorithms, you found one of my blog posts and liked it. I was curious about the name of your blog and wondered what could it possibly mean. I read your “Start here” and was utterly amazed. I don’t have an eating disorder and can’t think of anyone I know who has, although I’m sure some have but have not disclosed it. To let us look into the very personal nature of this huge challenge you have with food, and the pain it has caused to you and those around you who love you, allows others to gain strength through the exposure of your demons. It’s really beautiful and touches the innermost recesses of my heart. Today,using Lent in your sharing was masterful. The anniversary of the beginning of your eating disorder being tied to the season of preparation for the celebration of the Resurrection of our Lord Jesus Christ is no accident. As he rose from the dead, it appears that you have done so as well. There ARE no accidents. God’s grace comes to us in many ways, and for you to find it in something that was trying to kill you is a blessing for you and for anyone who reads your words and hears your story. That comment was beautiful! Deserves a reward ;). I enjoyed reading his comment about as much as I enjoyed reading the post! I encourage you to try taking something new on as a Lenten challenge as well. Our savior took on SO MUCH during those 40 days, so you can look at it that way as well! You could try to eat one sweet every day to spite your old Ed voice. You could say one positive body thought to yourself every day. Or even just spent those 40 days in intense prayer. Lent is such an incredible season – for He is coming, as he promised, and you can use that time to prepare however you’d like! Thanks for this great perspective. You’re so right. He did SO much. What a beautiful period of reflection indeed. Thanks for stopping by! Hugs! Hi. I hear you on your wrestling with fasting. Have you read Isaiah 58? God shares a different view on fasting and I think it breathes a new life into the whole thing. Love, love, love. Thank you as always for being so willing to share. Always love your photos – especially loved the little lamb. I love your fast: “… from negative self talk. From thoughts and lies that erode my self worth. From comparing myself to others and setting the unattainable standard of perfection for my life/body/possessions.” Several years ago, when going through a separation, I fasted from my Ex-husband. This was so challenging because it was through such a painful heartbreak. I fasted him 40 days meaning I didn’t talk about it, I didn’t reach out, I didn’t read any emails or social media, look at photos, etc. Instead I leaned into prayer and that was all during the time I rebuilt my relationship with God. It was so healing! Thank you so much for this reflection! Wow what a powerful fast that must have been for you. You’re right-when we lean into God and His overwhelming and merciful love for us, it is the most healing and comforting thing in the world. Thanks for reading! Hugs! A real inspiration and reflection full of faith, life and hope. Thank you. Thanks Rob ☺️ I appreciate your encouraging words! Have a great day. Thanks for reading! Thanks for sharing! If love to do something like that for lent too, since I was thinking about what to give up and what would be meaningful. Hi Karen! Yeah Lent is definitely a good time to think about things and put things in perspective:) thanks for stopping by! Hugs to you! Thank you for sharing the evidence of God’s power in your life. This reminds of Paul’s words about “glorying in his infirmaties” because the power of God can “rest upon him.” I am completely in awe of how God uses the broken. Thanks Yolanda:) yes, God definitely used the broken. What comfort in that thought! I appreciate you encouraging words! Hugs to you friend! Hi friend. I’m so glad this resonated with you tonight❤️ you speak the truth! God HAS rescued us…because we are so deeply loved and cherished as his children. Thanks for stopping by. Sending so much love and hugs to you! Beautiful ! The core message on Lent. Absolutely love this post. Oh gosh thank you so much Miss Fina. I really appreciate your kind and encouraging words❤️ hugs and love to you! Hi! I nominated you for the Blogger’s Recognition Award. Check out my latest post for your website recognition and rules. Praying your Lenten Journey is a blessing. I really LOVE your site. My pleasure!!! Keep doing what you are doing and be true to HIM! Sending hugs and love right back to ya! To accept what is and let go of what was would be quite easy for me but to have faith in what will be is really the difficult part. Keep up the good work!! Blessing…. Thanks☺️ you’re right. The faith aspect is the hardest past. It takes a tremendous amount of trust. I have to work on this too. Thanks for reading my friend! Your “likes” on my posts have brought me to meet you…and after reading this post. I like you. 🙂 nice to meet you friend! Sounds like Romans 8:28 strikes again. Praise the name of Jesus! You are a pride to be reckoned with. Pat yourself on the back because you deserve it. Not from bragging but being proud of how you are handling things. It’s what you believe in and what you do with it. Wishing you the best. God Bless. Thank you for checking my blog and you hang in there. This is a beautiful post, you are such a great writer. I am in love with your body positivity as this is something I have struggled with forever! Aw thank you Samara. That means a lot☺️ yes, loving our bodies is a lifelong journey. One I am definitely still on! But we’re worth it! ☺️☺️ thanks for reading! This is amazing and you are amazing!! God Bless you everyday. Hugs!! Wow thanks Migueltio! Thanks for taking the time to read and for your words of encouragement! Thanks you. God Bless you every day!! It is amazing how God works through us. Things that often bring great pain later show truth and change. I loved when you said: “what if I’m supposed to be reminded of that darkness so that I can fully appreciate what my freedom truly cost?” In all pain and struggle, there is growth and grace and freedom. What a great perspective to take something that could have always been a heartbreaking anniversary to something beautiful. Wonderful post. To be able to say “Lent is bigger than me” is a sign of mature recovery. I’ve only recently discovered your blog, but it’s quickly becoming a favorite. The insights you share apply to so much more than eating disorders. Thank you! Hey Jjs! Thank you so much for your affirming words. I’m glad you enjoy my blog! ☺️☺️ thanks for reading and have a great night! The music blog post goes up tomorrow. I loved how you drew the conclusion of how it was supposed to be painful. I feel that way about my family. I don’t observe Lent. I’m a Christian, but don’t feel tied down to those kinds of observances. What I told a friend today was I think the point is that Jesus did for us what we could never, ever do. If I don’t do something for a season, it can’t even come close to what Jesus did for me. What Jesus did is off the books. Seems silly (at least to me–not making fun of anyone who does practice this, but my own thoughts here only) to try to somehow relate to Christ by giving up something so trivial. But I do love how we can use this time to really think about and honor Christ. We can use this time to appreciate all he’s done for us. I love your thoughts as usual. You’re such an inspiration 🙂 This post is beautiful, and I love your resolve that pours through here and your decision to give up negativity for lent. To be able to find the positivity and hope hidden amonst destruction and pain is such a remarkable thing and is something I am learning more and more about. Writing from amazing people like you helps in the most beautiful of ways. Thank you so much for the like and for allowing me to find your blog, and for sharing your story. Hi Hadeesa! My goodness thank you for such kind words. Wow I am so touched. Giving up negativity will definitely be a challenge, but one that will be very fruitful. Thanks for stopping by! Hugs! Great post!!! Jesus died for your eating disorder. So true. So powerful. You’re amazing! I don’t know if not doing lent is punishable but it certainly a mindful act in memory of christ and his sacrifice. Your healing process is always fun to hear. I hope you’ve recovered fully.. or will whatever the case. Touching so my lives in a positive way. I have a high really high metabolism so lent is not so good for me. My brain/body needs the food, and i’d waste away in 40 days.. I lose weight too fast even on a high calorie diet. I think it should die down soon when i hit 30. That’s when the males get fat, you know? =D haha jokes aside, thanks for dropping by as usual. Always good to hear from you. Just want to say that I find your posts insightful and inspiring–even though we come from different places religiously and even though we have different body issues. What you write feels authentic, and I think that’s why it transcends our differences. Thank you so much Jac! I really appreciate your kind and affirming words 🙂 Wow, what a powerful testimony that couple has. God definitely uses all things for good. Thanks for stopping by! hugs! Great insight! Funny enough, I just finished the draft of my next blog entry and it is based on my first experience with fasting (not related to Lent though) and how the “good” intention soon led to my “not so good” ED. Thank you for sharing. Thank you so much! How interesting. I’ll definitely look forward to checking out that post. Thanks for stopping by! Hugs! I would give up “bitter blogging,” but I’ve already decided to do that. So, I am giving up feeling bad about being poor. So what if people get angry with me when all my cards are declined and I have to back out of $118’s worth of groceries; it gives me the opportunity to forgive and bless them and to thank God that I have another day to serve Him. To God be the Glory, and bless you, dear. This is awesome, and so strong! Aw thank you so much! I’m glad you liked it. Thanks for stopping by! Hugs! I think that the blog posts show that you’re as ready as you’ll ever be to move on from the eating disorder. But the problem with addictions is that they can always come back. I am certain that God is with you in not giving up food for Lent but harmful thoughts. You’re more use to God living a good life and making the world a better place than you are relapsing each year. And this post is another wonderful post from you. Thanks Harry. I appreciate this great perspective. I think you’re onto something there. God wants me to live a life for Him…not ED. Thanks again for stopping by and taking the time to respond! Have a wonderful week! Beautifully written. Thank you for sharing this very personal journey and for giving a different perspective of the sacrifice of Lent. Thank you so much! I appreciate your affirming and encouraging words. 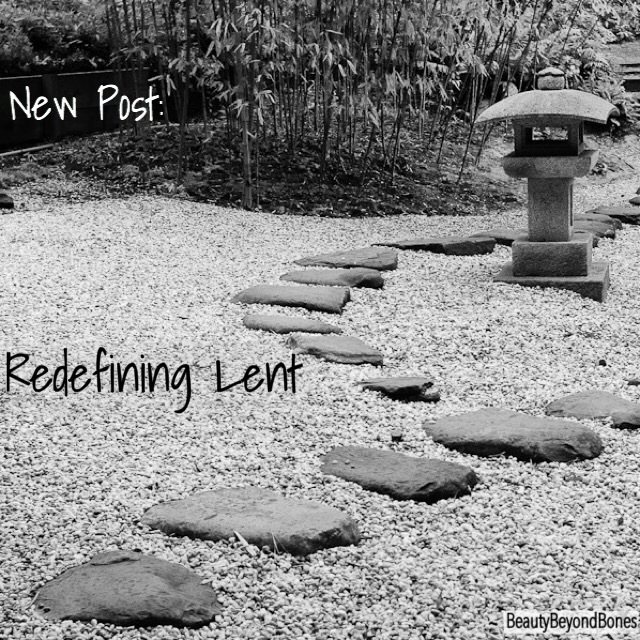 Yes, Lent is definitely a time for reflection. Glad you stopped by! Hugs and love to you! Only the Grace of God is able to turn bad to good, defeat into victory,weakness into super strength. I am a chubby old geezer but the Lord lugs me around most days now. Hi Leland, you’re so right: God IS good and capable of turning everything to good. Praise Him for that. Sending you hugs! Thanks for taking the time to read! Thank you so much! 🙂 Wow, that takes some serious willpower — a fast from social media! Way to go! I wish i could do something that awesome 🙂 thanks for stopping by! hugs! Thank you for sharing how the Way has brought love into your life for yourself. Yes! The triggers of Lent. I have written about this too. It seems as Christian women we are set up to view food as some kind of ‘naughty’ indulgence and fasting becomes equated with ‘purity’ and all the other things we may be emotionally seeking. Thank you so much for this encouragement and affirmation. It really means a lot. Yeah everyone has different struggles, but how comforting to know that we have such a loving and merciful Father that will always take care of His children. Thanks again for stopping by. Hugs and love to you! Wow I so relate to you even though my issues were different. This Lent for me was more about embracing God’s love and not trying to earn it. Thanks for visiting my blog. This is beautiful and such a powerful truth about what Lent really means. I am so pleased you enjoyed my post about persistence. I have read several of yours and admire your courage and thoughtfulness. I wish you the best in your recovery and pray that you continue to inspire others! Thank you for sharing your story! I am a dietitian and have a little bit of a history of disordered eating, so I totally related with you on the whole using religious fasting to cut calories, etc. I’ve done it myself and also now choose to give up things other than food for Lent. Congrats on your recovery! One thing I am am curious about, from what I have heard about eating disorders, it’s usually not about the eating disorder or the food. The root of the problem usually stems from other things-wanting control, family issues, mental disorders, etc. Do you peg Lent as your starting point or as part of the problem (I guessing specifically the fasting)? Fasting is obligatory for those in the age range on two days of Lent, Ash Wednesday and Good Friday. Fasting means two small meals, like snacks, and one normal meal. It would seem better for your mental health if you worked with your confessor toward meeting without exceeding that obligation. There will be many times in your life when you will have to fast for a variety of un-religious reasons–for surgery, for example. You can’t cut it out of your life because you tend to overdo. Doesn’t that suggest you haven’t overcome the problem, actually? Hi Janet, thank you for this response. You bring up some great points here. I am definitely aware of the fasting guidelines. And I have talked to my priest about it. After much prayer, we decided that dietary fasting is not beneficial for me or my faith. Plus, I have ulcerative colitis which I stay in remission and manage through diet. So there’s that aspect that is a factor in that decision too. But we decided that fasting from other, non-dietary things, is better, as well as adding in additional things to “do” — i.e., rosary, daily mass, holy hour, etc. So there’s that. I hope that clarifies things for you. And to answer your question about my decision not to fast as being indicative of not truly having overcome the problem…my answer is: absolutely not. I HAVE overcome the problem and embraced recovery. Part of living a recovered life is protecting your recovery at all costs. And what that looks like for me, is to uphold the promise that I made to myself and to Jesus to never withhold nutrients from my body ever again. And flirting with the behavior that literally almost killed me is detrimental to my recovery. Not because it would make me yearn for that empty feeling in my stomach again, or because I’m not strong enough to “handle” it — but because it is playing with fire. I am protecting my recovery by not putting myself in a situation that dances around that mindset. Yes, I respect and am grateful and praise Jesus for what He did on the Cross, and long to do everything I can in life to show that appreciation and worship Him — but doing so by partaking in the behavior that ED (Satan) used to try and end my life, is not the way to do so. Although unintentional, fasting is a tiny crack that ED could find his way into and bring seven of his friends. I know this is quite the passionate answer, but I feel very passionate and strongly about it. I love Jesus. My healthy body and recovered life is my greatest form of worship to Him. All sorts of red flags are flying up right now. I like to remind people to walk a mile in someone’s shoes before judging them; would that be appropriate for someone with no feet? The Law was intended to help people, not cause them problems. I’m having problems with the word obligatory. People, like myself, who have addictions and are successfully dealing with them and know their limitations ARE successful in their efforts. To tell me that my unsubscribing from retail sales emails is an indication of my not having fully overcome my addiction to spending would be cruel, unkind, and insensitive. What possible motive would someone have to say such a thing? “What if I’m supposed to remember, so that I can rejoice in His saving power in my life?” Amen to that! Romans 6 says our old man was crucified with Jesus & that we were raised with Jesus to a new life. Lent is the anniversary of your death & resurrection with Jesus. I don’t fast either (http://thevoiceofone.org/2014/11/17/why-i-dont-fast/) & don’t feel it’s necessary, especially if doing so would harm you. Jesus said the Sabbath (& by extension any observance) was made for man, not the other way around! When we consider all our failures in the past, it prevents us having joy in the present and hope for the future. Let us turn to Jesus and consider what He has done. He has taken our past and thrown it away. Now let us stop looking behind and start looking ahead to Christ.